As of midnight December 21, 2018, the President and Congress were unable to agree on the provisions of a Continuing Resolution (CR) to fund the federal government. As a result, a partial shutdown of some government operations now enters its fourth week. 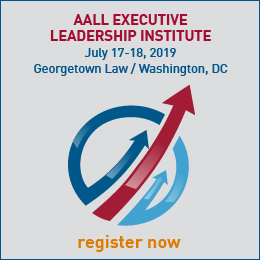 This is a politically dynamic event, and AALL continues to monitor federal agencies and work with other groups to assess ongoing impacts to members. The Library of Congress/Law Library of Congress and the Government Publishing Office remain open. The shutdown has not closed the Library of Congress/Law Library of Congress or the Government Publishing Office. Both remain open because they are funded through the Legislative Branch appropriations bill, one of the five appropriations bills completed prior to the October 1 start of Fiscal Year 2019. Government websites operated by these agencies—including Congress.gov and govinfo—remain available. The National Archives and Records Administration is closed. 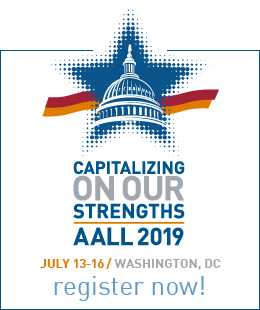 AALL’s Government Relations Committee has compiled resources related to the government shutdown. The Pew Research Center has more information about the shutdown’s impact on access to federal data. This UC Berkeley Library Guide includes links to government information sources available during a government shutdown. The Internal Revenue Service announced it will process tax returns beginning January 28, 2019, and provide refunds to taxpayers as scheduled. In general, federal departments and agencies that face a lapse in appropriations are required by law to shut down operations, with only “excepted activities” relating to the “safety of human life or protection of property”. Agencies develop contingency plans outlining actions to be taken when Congress fails to enact appropriations, under guidance from the Office of Management and Budget (OMB). More information and links to agency contingency plans are available on OMB’s website.